Last year I was interviewed by a writer from “Ceramics Art and Perception Magazine”. His article about my work is in the March 2014 issue. Thanks to Ceramics Art and Perception for their interest in my work. Featured in Ceramics: Arts and Perception Magazine. Opening Reception: Friday, December 7 at 5:00 p.m. Following the exhibition opening, join us in the Latino Arts Auditorium for a performance by Bomba y Plena legendAngel Luis Torruellas. South American Traditions Inspire Primitive Pottery – Primitive aesthetics applied to 21st century ceramics travel to Milwaukee’s Latino Arts, Inc. at the United Community Center in an exhibition titled: “Contemporary Inspirations from Ancient South American Pottery.” Artist Luz Angela Crawford displays more than 20 examples of her hand built vessels set on wooden platforms in the gallery so the viewer can study them closely. From South America to Wisconsin – This December, a trio of fascinating exhibitions will arrive in Milwaukee. First, Latino Arts, Inc. presents Luz Angela Crawford’s exhibition “Contemporary Inspirations from Ancient South American Pottery.” A Columbia native, Crawford bases her art on pottery derived from century-old techniques inspired by the Gaumbian of the north-central Andes Mountains, who hand make vessels without a potter’s wheel. Crawford expanded and refined their ancient traditions by adding expertise from ceramic studies in America, Italy and Spain. 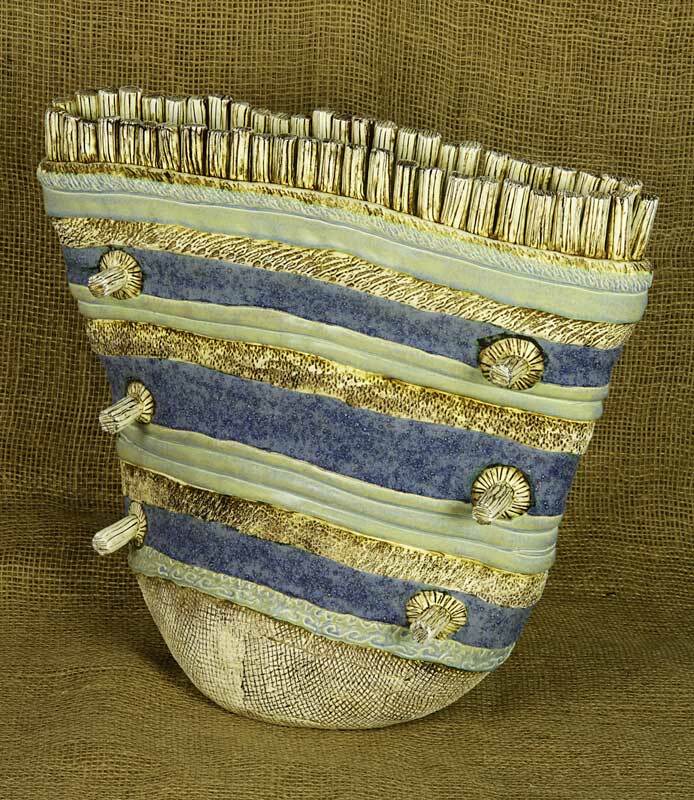 Contemporary Inspirations from Ancient South American Pottery by Luz Angela Crawford – Born in Colombia and now based in Texas, Luz Angela Crawford has found inspiration in creating ceramic pieces modeled after the textures and techniques developed by the indigenous cultures of South America.